UST operator training in Indiana is required by federal law and is intended to ensure that those who own and operate underground storage tanks understand how to operate and maintain UST systems properly. Indiana Class A operators have primary responsibility for on-site operation and maintenance of a UST facility. This individual is generally the owner of the station or the designee. For large corporations, this person is the manager or designee responsible for tank operations. Indiana Class B operators have responsibility for the day-to-day aspects of operating, maintaining, and record keeping of a UST facility. This individual (or individuals) is generally the owner or the person/company contracted by the owner to maintain the tanks. For large corporations, this person is the employee, or person/company contracted by the corporation to maintain the tanks. Indiana Class C Operators are the first responders to emergency situations at a UST facility – like a gas station or convenience store. These individuals are usually the clerks of a facility. The Indiana Department of Environmental Management (IDEM) – Office of Land Quality – Underground Storage Tank Section is designated to protect public health and the environment through oversight, investigation and cleanup of soil and groundwater contamination caused by releases from USTs. The IDEM mission is to implement federal and state regulations to protect human health and the environment while allowing the environmentally sound operations of industrial, agricultural, commercial and government activities vital to a prosperous economy. As of August 8, 2012, all of Indiana’s UST facilities, most of which are gas stations, must have designated individuals as Class A, Class B, and Class C operators for various responsibilities of UST system operations. Class A, Class B, and Class C operators must be certified in various aspects of UST system maintenance and operations. 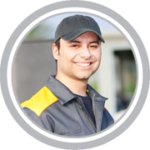 Class A status is for individuals, such as owners, who hire or contract the personnel who are responsible for day to day maintenance and record keeping. Class B status is for individuals, such as consultants or full-time employees, who the facility owner has designated for the operation of all aspects of the system’s operation and maintenance. Class C status is for facility employees, like cashiers, who assist Class A and Class B operators in monitoring for problems and responding to emergencies. Class C operators may be trained by the Class A or B for the facility or their designee. Documents the representative is authorized to sign. A copy of the authorization must accompany each document submitted. The contractor must also sign and provide the Office of the State Fire Marshal (OSFM) certification number on the Notification for Underground Storage Tanks form (State Form 45223), for tank installations, upgrades, testing, and permanent closures. Indiana was granted state program approval (SPA) in 2006. Class A/B and C Operators are required to recertify every three (3) years or if UST system is found to be out of compliance or in significant violation of UST regulations. Voluntary refresher training is encouraged to ensure operator is up-to-date with current regulations and procedures. We offer online UST operator training in Indiana for: Indianapolis, Fort Wayne, Evansville, South Bend, Carmel, Bloomington, Fishers, Hammond, Gary, Muncie, Lafayette, Terre Haute, Kokomo, Noblesville, Anderson, Greenwood, Columbus, and many more! 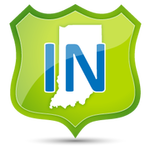 Indianapolis, Fort Wayne, Evansville, South Bend, Carmel, Bloomington, Fishers, Hammond, Gary, Muncie, Lafayette, Terre Haute, Kokomo, Noblesville, Anderson, Greenwood, Columbus, and many more!